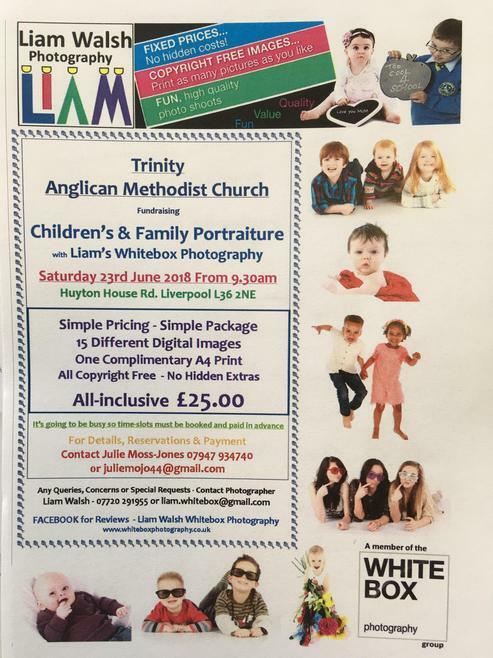 Liam's Whitebox Photography will be holding a family portraiture session at Trinity Anglican Methodist Church on Saturday 23rd June from 9.30am. Please see the information below for details of prices. One of our Governors, Julie Moss-Jones is organising this event and has managed to do a fundraising deal with the photographer which will benefit our school. For every family who buys a portrait package, the photographer will donate £5 to school. If you would like to book, please text or email Julie (see flyer) and she will give you a time slot and details of how to pay. So please spread the word and book your portrait today!